All of you out there, seeking quality software outsourcing providers have surely encountered a significant challenge: it is mostly difficult to find an appropriate outsourcing or offshoring partner. 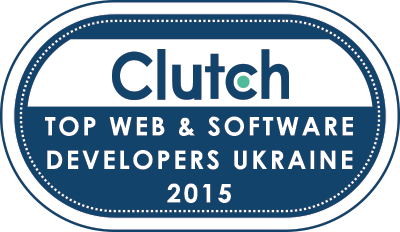 As well as us, software development providers constantly thrust to stand out from numerous competitors. 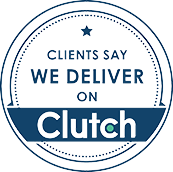 Clutch and their algorithms are a decent solution out of this situation. Clutch identifies leaders of the IT outsourcing industry who provide only highest quality results to their clients. Their innovative search procedure harvests from finest proven practices of B2B research and delivers best fitting results to businesses who seek outsourcing services.Clutch nails identification of most fitting outsourcing providers due their Leaders Matrix Methodology. This assists businesses significantly, as they are empowered to find the perfect outsourcing solution based on business requirements and procurement objects. This Matrix measures abilities of IT service delivery by gaining from references and reviews, delivered quality, cost-efficiency, expertise and experience and marketing presence as well as reputation of the service provider. Such an approach allows strong understanding of business and development capabilities of many service providers. All business sized from a small start-up and up to a huge enterprise may gain from Clutch services. We are happy to be partners with this organization, thus defining our premium capabilities and a strong, leading position in the outsourcing market of Eastern Europe. This partnership defines highest levels of our B2B solutions and services we are happy to grant you with. Check out QArea profile on clutch.co.